The US-based survey giant specializes in providing survey-based services to its growing list of customers across different industry sectors ranging from construction to manufacturing. The company focuses on industrial and institutional development and provides engineering drawings, as-built models through laser scanning, and UAV techniques. They started with CAD-based modeling and drafting techniques and transitioned to a completely BIM-based delivery procedure. The client was working on a renovation project to create 24 floors of living space with four existing floors. The client wanted to convert point-cloud laser scan data to an information-rich and high-level precision BIM model. The aim was to create the as-built drawings of an existing building to aid construction of rest of the floors with similar outlines. The challenges involved an issue with the quality of the scan. There were improperly scanned files which made BIM modeling a challenging task. The level of detailing of the scanned point-cloud files was not adequate. Real pictures of the building were required to aid the BIM modeling process. Another challenge was to transfer large point-cloud data files. As the client was using BIM modeling for the first time, they needed support to draft project scope, technology to be used, set milestones, and timeline estimation. Outsource2india BIM experts initiated the project by explaining the intricacies of BIM modeling from point-cloud data files, and mutually decided the project deliverables and targets. Team Outsource2india comprised of four BIM experts. Each member was responsible for a specific component of the model and worked on various levels. They analyzed five different angles and portions of floor-wise laser scans (provided by the client). These scans were converted into a single REVIT model to have ample clarity on the project requirement. Our BIM experts prepared a conceptual model and considered client's feedback before commencing the final BIM modeling work. Client's inputs were listed and utilized to improve the aesthetic look of the model. The specified Level of Detailing (LOD) was created based on this model and was submitted through Dropbox. At Outsource2india, we understand the complexities of point cloud to BIM modeling that requires experience and deft handling of the data. Our engineers are highly skilled and are trained in all latest technologies to provide the best quality output for all BIM-related modeling assignments. With a growing list of international BIM projects, Outsource2india excels in not only technical capabilities but also in excellent communication, superior management of scanned data, and advanced BIM modeling activities. 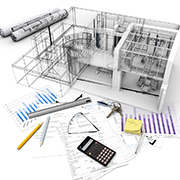 With our flawless BIM modeling support, clients save up to 20-30% of the costs on renovation and construction. Outsource2india's quality-centric approach ensures fewer revisions and assistance for clash detection with other MEP services to further help our clients. At Outsource2india, we offer top-quality mechanical engineering services to numerous clients across the world. Having worked with businesses across different industry sectors for over 20 years, we understand that project requirements vary from one client to another. We provide a wide range of Architectural engineering services apart from the BIM services, like 3D Furniture Modeling, Retail space planning and design, and SketchUp Modeling, among others. Write to us today to learn more about our BIM capabilities and let our experts provide you with world-class support for your projects.